The higher religions share many things in common, even as devotees strive so desperately to promote what makes theirs distinct and superior to the others. These common elements are emphasized and celebrated in the more mystically oriented currents, while the orthodox mainstreams either downplay them or interpret them tightly around their core doctrines. Mystics of all religions tend to resonate with the myths, symbols, and ideals of spiritual life regardless of cultural origin or theistic attachments. They seem to have an ability for seeing through the historical conditions and local inflections that make one religion so different from the others. And while this depth-vision of theirs commits them to a stance that is commonly condemned as heretical (which it is), blasphemous and atheistic (which it isn’t), mystics aren’t really so interested in challenging doctrines as they are in seeding human transformation. An example of something you’ll find across the higher religions is the metaphor of a “second birth,” which is said to conduct the believer into a new mode of being characterized by expanded awareness, a transpersonal orientation, and a profound intuition regarding the unity of existence. Whatever it may be called – metanoia (new mind), satori (true sight), buddhi (awakening), or the more common enlightenment – this idea of breaking through to a more grounded experience of reality (the way things really are) is the central insight. In the present post I offer an interpretation of this “second birth” experience, using the terms that have become important in my ongoing explorations into human transformation: body, ego, and soul. Critical to my use of these terms is an effort to redefine them as names for distinct “mental locations” of consciousness rather than separate parts of a human being. Body and soul, for instance, are not from two different realms and yoked for the length of an earthly lifespan, only to uncouple and go back to their separate realms. 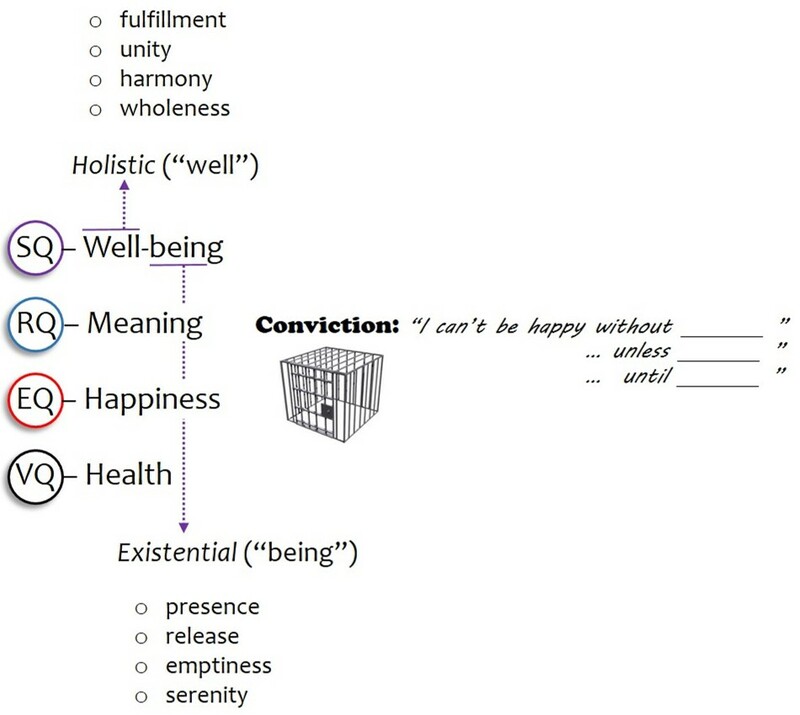 Instead, and more in line with a postmodern reading, “body” and “soul” name distinct mental locations from which consciousness engages the surrounding sensory-physical environment (as body) and its own grounding mystery within (as soul). Ego introduces a third term, which I take as literally introduced (inserted) into the primary duality of body and soul. Indeed the popular separation of body and soul as opposing forces is actually an ego delusion. By inserting itself between the mental locations of body (outward oriented) and soul (inward oriented), ego pushes them apart (as parts) and then gets caught in its own illusion. Interestingly enough, this illusion – and to the extent that an individual is utterly entranced by it, this delusion – is a necessary step in human development. Society (aka “the tribe”) must work to shape an animal nature into an obedient member of the group, with all its roles and rules for getting along. Some of those impulses just need a little domestication, while others require stronger sanctions. But the individual submits for the most part, since security and belonging are the coveted benefits of membership. 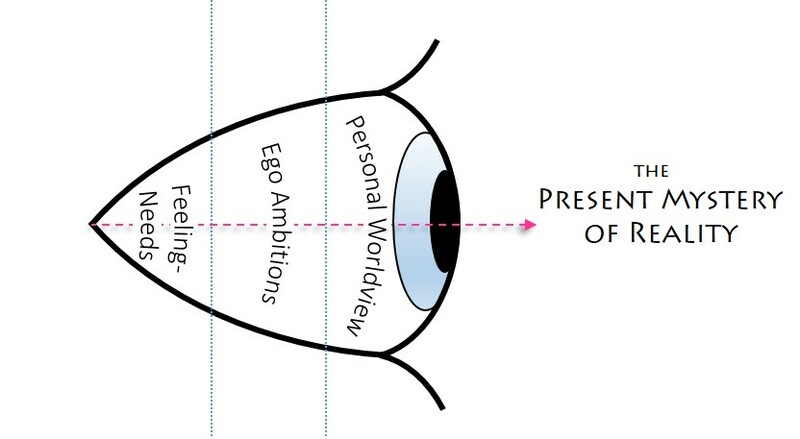 My diagram above illustrates this insertion of the ego in that cultural workspace of the tribe, where nature is socially conditioned and personal identity is constructed. A physical (or “first”) birth delivered the individual out of a maternal womb and into a tribal womb, in which a sense of self (ego identity) will form. The demanded constraint on animal impulses and a socially required modicum of self-control are what eventually establish an ego identity above the body (often represented as a rider atop its horse). We can distinguish at least two levels or phases in this process of identity construction, the first taking place inside a family system into which the individual is born or adopted, and the second involving cultural influences farther out. A family is more than just a group of people who live together and share a household. It is a present manifestation of deep generational codes, prevailing moods, and social reflexes that move individuals to behave in ways they don’t fully understand or feel capable of altering. What we call “family patterns,” then, are the deep emotional conditioning that bind members in relationships of attachment and antagonism, perpetuating various co-dependencies and dysfunctions that make every family so wonderfully complicated. This correlates directly to the fact that ego identity is emotionally based, and it also explains why family patterns are impossible to fully understand. Even if these primary relationships are abusive, the emotional bonding they provide can hold the individual captive – just as the entire family system is captive to its patterns – and unwilling to leave. What else is there? Where might a young child go for a better life? Outside the family is an even more dreadful danger: the loss of identity. We need to remember that the family is a second womb, and that escape of a “preterm” ego would result in a kind of social extinction, which is why it hangs on. With time the individual engages the larger culture of his or her tribe. Long-standing traditions and conventions of a society are invariably rooted in a mythology of patron deities, cultural heroes, and legendary figures who secured the present world-order. These stories, together with their anchoring images and ritual observances, are summed up in my notion of “symbol systems” (see the diagram). A tribe’s symbol system functions as a lens on reality, but also as a filter to keep out (or keep hidden) any threat to security, identity, and meaning. The intellectual horizon of meaning itself is maintained in the cultural worldview – projected, authorized, managed, and repaired by all those with a vested interest in its maintenance, which is everyone on the inside. But the same spell of delusion is in force at this level as what we find entrancing the family deeper down, only in this case it is more intellectual than emotional. It grips down on the mind as powerful convictions concerning ultimate things: good and evil, life and death, sin and salvation. The intellectual certainty carried in orthodoxy has an anchor-line descending into the dark foundations of emotional security, which is where orthodoxy’s real authority lies. Even when a doctrine no longer makes sense intellectually, due perhaps to a shift in worldview and a loss of specific relevance, a conviction will remain strong – indeed, becoming even stronger than ever precisely because of its opacity and sacred mystique. Since it’s so difficult to understand, it must have been revealed by god, so who are we to question it or set it aside? But not so fast. Those deep emotional fixations and god-given intellectual convictions will not let go so easily. Let’s not forget what will need to be surrendered should the spell be broken. What could life possibly be like without security and certainty – and without the identity that these together define? This would amount to an “ego death” for sure! For many, the security of knowing the hell they are in today, along with the predictive certainty that it will be waiting for them tomorrow, becomes an inescapable contract of identity. The tribe is also working hard to keep its construction project under control. Friendly warnings and more stern reprimands are issued to the one who asks the wrong questions, challenges the orthodox answers, or dares to look behind the curtain at what’s on the other side. The threat of condemnation and excommunication are all too frequently enough to send the ego back to its seat. But it is here, in the throes of emptiness and disorientation, that a few (compared to the multitude that obediently fall back in place) find the grace and courage to step through the veil. Attachments and fixations are surrendered. Convictions break open and release the mind. It is finally understood that the so-called security of hell is really no security at all, and that the so-called certainty of heaven is really a distraction from something infinitely more precious and real. New mind, true sight, awakening, enlightenment: the once-dreaded breakdown turns out to be a breakthrough to a higher mode of being. The human spirit is liberated from its cage of identity, the caterpillar becomes a butterfly, ego gives way to soul. Metaphors such as these endeavor to translate the experience of a “second birth” into the static nouns and verbs of language; but the experience itself is ineffable, beyond words. Only after dying to ego and being resurrected as soul can the individual look back to see that those same symbol systems, which seemed so categorical from inside the tribal womb, are now transparent to a universal mystery. Gods and demons, saviors and villains, heaven and hell, sin and salvation, insiders and outsiders – each of these familiar components is part of a single drama that we carry within ourselves. Or perhaps we should say, it carries us. This was its design all along. Produced by the mythopoetic imagination and coming out a spiritual intelligence deeper and more ancient than the little ego can fathom, this entrancing web of illusion turns out to be the necessary architecture for our creative evolution. It is a bridge spanning the separation of body and soul – which, I should remind you, doesn’t really exist. Security is an illusion. At any second an unsuspected bacterium could invade your immune system, a blood vessel in your brain could burst, a piece of space junk could fall out of the sky on your head, or a random act of violence could find you in the wrong place at the right time. Imagine what your life would become were you to make these slim probabilities your preoccupying focus. Our desperate quest for whatever can counteract or permanently transcend the inherent insecurity of existence actually creates new things to worry about. As we devote more resources to protecting our resources, eventually we reach the point of diminishing returns. More is spent to keep from losing. Life becomes an exercise in circling the drain: put death off just a little longer and maybe you stand a chance of having a life. Nope, it doesn’t work that way. We should be clear, it’s not the body that is driving this circus of absurdity. By following the rhythm of its natural life cycle, the body has evolved internal mechanisms to either heal or surrender to its inevitable fate. The ego, strapped to this eventual corpse, is the one who strives to slip the knot and live forever. We have developed all kinds of technologies and cosmetics to postpone or conceal the fact of mortality. And religion has done its part by promising everlasting security to the one who can delay gratification and remain obedient to the end. Think of the evils that have been committed for the sake of security – or the sense of security, and the pursuit of it. The greed for “enough” can never be satisfied, simply because there can be no such thing as enough. How can you know for sure? Life conditions could change, the supply could run out, your neighbor could take more than his fair share. Insecurity produces discontent, discontent produces greed, greed motivates hoarding and theft, hoarding and theft (by others) require protection, protection requires insurance payments, insurance payments require more income, more income requires more time, and more time – oops, game over. Let’s just agree for the moment that security is an illusion, something unreal, unrealistic, and unattainable. If we were to simply accept this fact, would we live any differently than we do now? We would worry less, there’s no doubt about that. And depression – the state of fatigue and discouragement that comes in the wake of anxiety – would be far rarer, indeed. We would certainly be more relaxed, even living on this edge of death, and probably feel more alive by virtue of its constant shadow. Watts’ “divided mind” is another term for ego ambition, driven by the competing motivations of desire and fear. For its part, security, being an illusion, is not even something we can pursue – unless some clever advertising has attached it to a “must have” new product or service. To that end, we buy and replace, use and toss out, try and abandon one false promise after another. The fear side of ambition is typically more concrete. While positive gains and happy progress may forever elude us, negative losses on the downward slope of mortality are inevitable. Ego ambition is about spending and stacking – or shooting – whatever is necessary to hold off the specter of death. But the more we clutch and stockpile, the greater our risk and pain in losing it, and the more we are willing to do to keep it a little longer. Even if “Romeo and Juliet are [not] together in eternity,” in the words of Blue Oyster Cult’s Donald Roeser, we don’t need to fear the reaper.